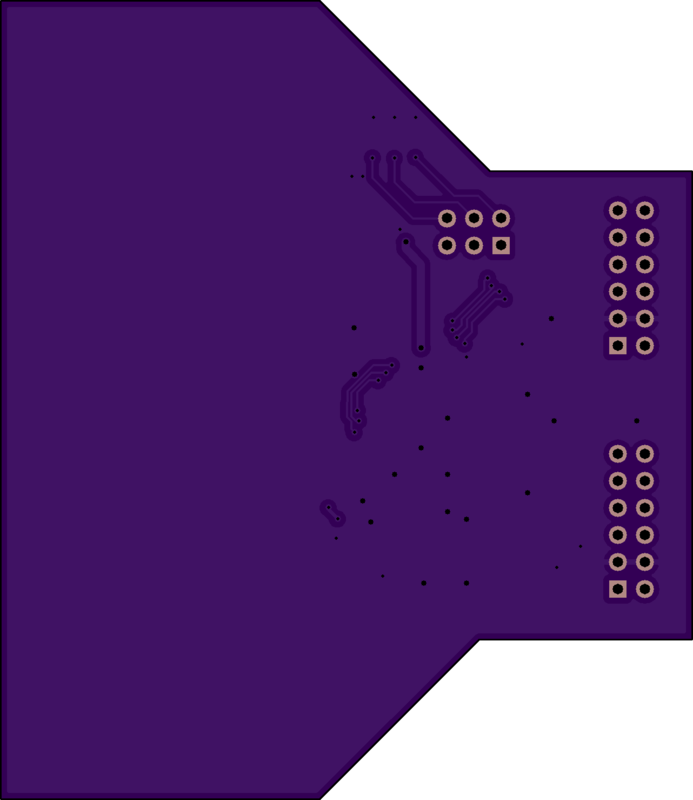 2 layer board of 2.57 x 2.96 inches (65.2 x 75.2 mm). Uploaded: January 3rd, 2018 14:48. 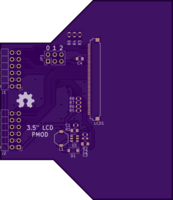 This allows 3.5" LCDs with a 54-pin connector to be connected to an FPGA board with dual PMODs, using either 8-bit serial RGB or YUV422 modes. 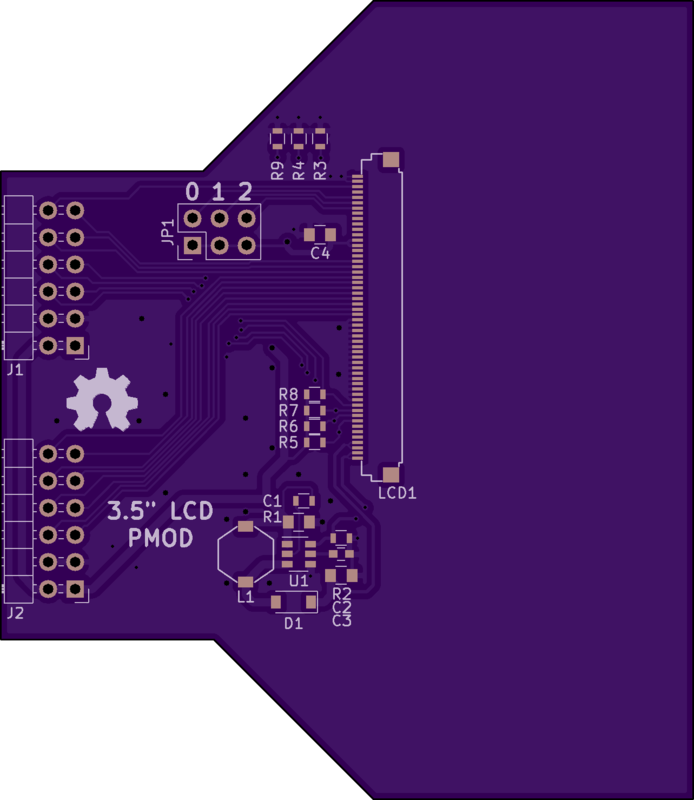 For serial RGB operation, JP1 pins 1 and 2 (bit 0 on the PCB) should be shorted with a jumper. Errata: C1 and R1’s labels are swapped on the PCB silkscreen, note the capacitor is 0805 (10µF) and the resistor 0603 (10kΩ) to tell these apart.